Spiritual healing is a holistic healing method that can be used on people with permanent results. Holistic health approach would include both body and mind. It not only studies about the body but also the mental ability for health and healing is studied. Spiritual healing will heal one from all sorts of ailments and chronic sickness from the holistic aspect. Illness is to be attended always with both mind and body. Because when a person lives on earth he is made up of both body and mind i.e both matter and energy. Thus any issue to be healed to be attended holistic. Spiritual healing can be done regularly to cleanse one and that can hold them in the shied of positive energy and that saves them every time they encounter a problem. One may be suffering from any type of problem but all are caused by the planets and their placement the horoscope. These are predominantly because of adverse effects of the wrongly placed planets. These planets can cause different problems in the realms of Money, Family, Career, Business, and health etc, for a person. All types of problems like physical, mental, lifestyle or life-based problems all can be attended through Spiritual healing. Our great astrologer Ramdial is expert in Spiritual healing and long experience in healing many people across the world. Astrologer Ramdial will check the horoscope and assess the method of spiritual healing with respect to the current planetary positions. All the approaches are devised based on the movement of energy in the body with respect to health. Even in the modern day's many educated people and health industry experts show interest in the Spiritual healing and its methods. Vedic astrology prepares the natal chart and an expert can read the implications of the planet positions in health house and he can predict the health situation of a person. Sixth house in natal chart represents the health situation. Having planets in sixth house will implicate certain status of health of a person. The expert must look at the planet positions and its cusp relationship with respect to other planets and decides on the current and future health status.  Pandit Ramdial is an expert and psychic in USA and Canada and a good spiritual healer. He uses all types of tools for spiritual healing. Pandit Ramdial may use pendulums, stones, crystals, magnets and many other things for spiritual healing. 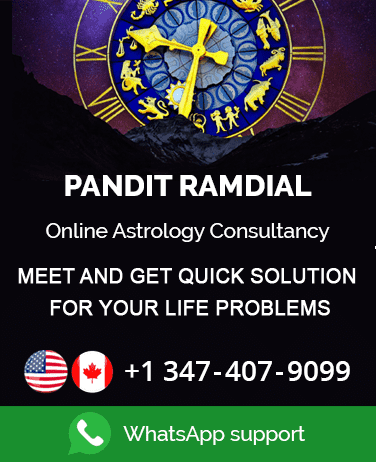 Many people across the word approach Pandit Ramdial for spiritual healing simply because he is very well experienced the field and many success cases of very chronic and long illness of people are cured by him. He uses the different forms of worships, pujas, and mantras for the purpose of Spiritual healing. If you have unidentified health issues and cannot be diagnosed but still you suffer long then contact our best spiritual healer Astrologer Ramdial immediately. He can offer spiritual healing of different types according to the type of problem and its intensity. He provides a custom made solution to your problem to make sure that you live healthy life.